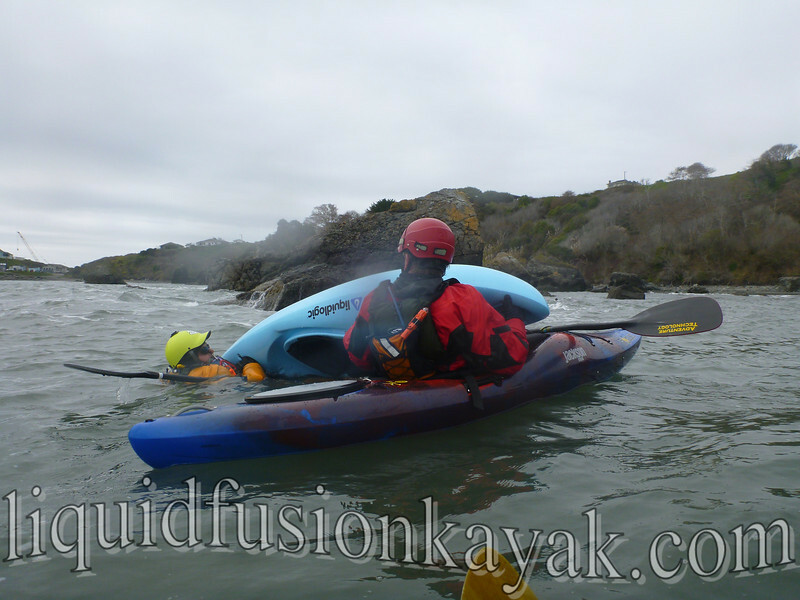 Liquid Fusion Kayaking's Jeff and Cate have been invited by local paddlers to teach kayak rock garden classes in the Trinidad area December 13 and 14, 2015. Classes offered are for intermediate to advanced intermediate level paddlers who have rock garden experience and a reliable roll. Beginning paddlers can contact us about scheduling another class or private lesson. December 13 - Whitewater of the Sea - Experience the exhilaration and pure fun of playing in a whitewater kayak in the rock gardens of the Trinidad area. Play, play, play in the whitewater features of the ocean. In this course, we will primarily be focusing on techniques for play - finding features and working on water reading, finesse, and timing as we play, play, play . . . Let us help you to read the water better, move your boat more efficiently, work with the water, and maybe even get a creative with your moves. Paddlers taking this course need to have taken a previous rock garden class. A reliable roll in dynamic waters is highly recommended. 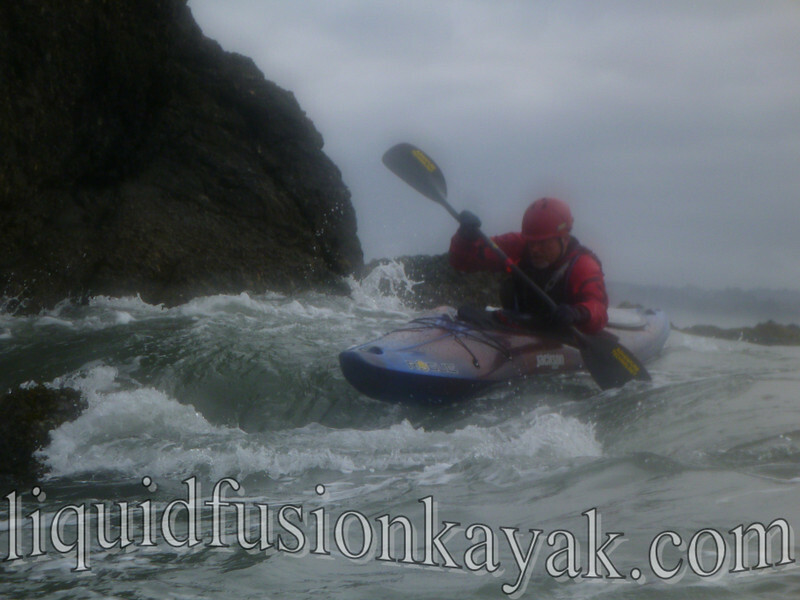 To sign up - contact Jeff or Cate at Liquid Fusion Kayaking (707) 962-1623. Space is limited to 6 students so sign up early to guarantee your spot. The whitewater of the sea class is $110/person. 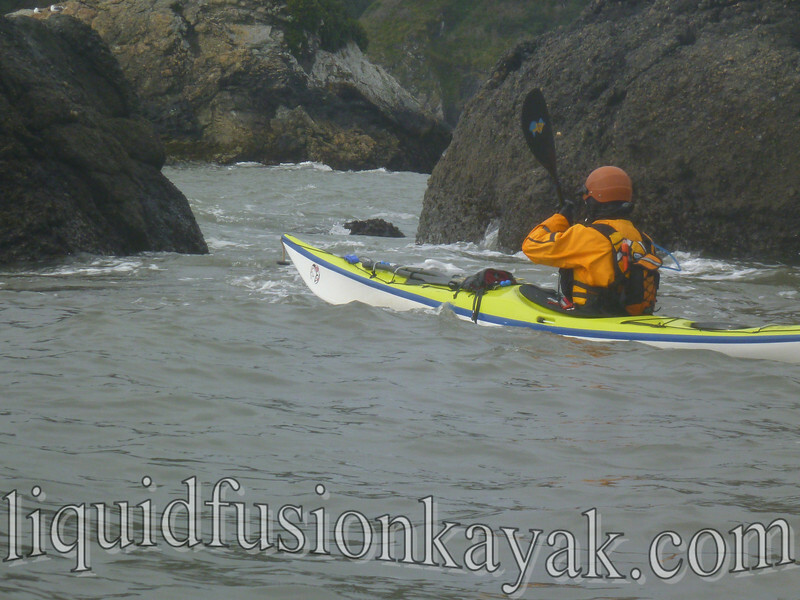 Whitewater kayaks that we recommend for this adventure are river runners 8 feet or longer. The Jackson Zen, Rogue, and Karma RG are 3 of our personal favorites. If you have questions about the suitability of a boat for our class, please contact us. If you don't have a whitewater kayak, contact Adventure's Edge to arrange for a demo. 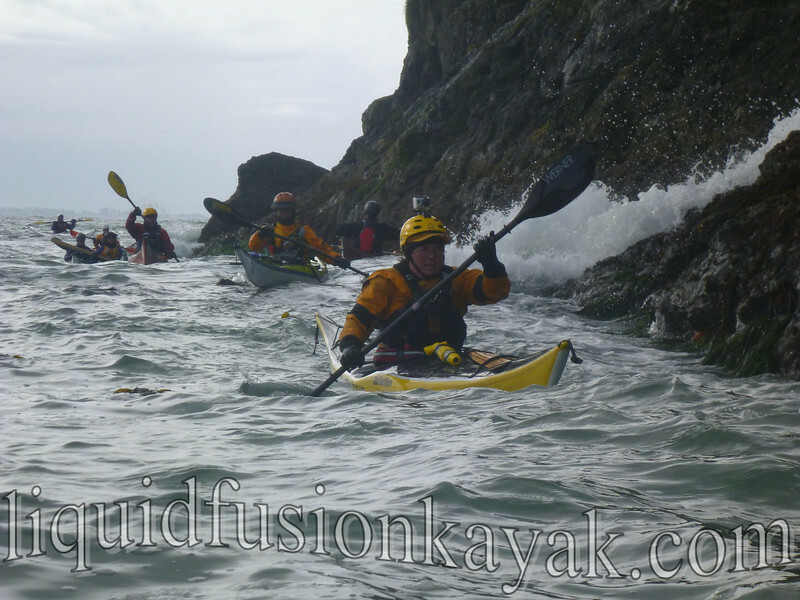 Paddle and play in ocean rock gardens in your sea kayak. Jeff and Cate have developed a systematic approach that builds your skills and confidence for rock garden paddling. Instruction, games and drills will work on both personal and team skills specific to rock gardens. Personal skill development will include boat control, launching and landing, positioning, water reading, and self rescue. Team skills of awareness, buddy rescues, and paddling as a group are integrated throughout the course. This full day course is $110/person. This course is designed for intermediate and advanced intermediate paddlers with previous rock garden experience and a reliable roll. Plastic sea kayaks are recommended. Please contact Cate or Jeff at Liquid Fusion Kayaking with other questions about the course and to sign up. Space is limited to 6 students so signing up early is recommended. We are looking forward to teaching in the Trinidad area and working with the awesome paddling community there - Explore North Coast. It will be a nice warm-up for the Storm Gathering USA in March 2015.